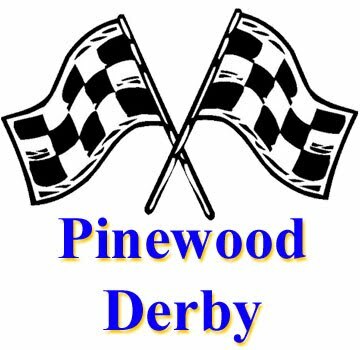 Purchase Pinewood Derby supplies (decals, weights and authorized colored wheels) from the Virginia Scout Shop, 5234 Port Royal Rd, Springfield, VA. All wheels must be BSA approved on the packaging or your car will not be allowed to race. ALL CARS ENTERED MUST HAVE BEEN MADE SPECIFICALLY FOR THIS YEAR’S RACE. ONCE RACED, A CAR CAN NOT BE RACED IN SUCCESSIVE YEARS. Weight of Car w/wheels and weight: Shall not exceed 5.0 oz. Lightly file, sand, or polish axels. Do use dry powdered graphite lubricants. The pack will have plenty available the night before race day and race morning. Warning: Once the cars are checked in they cannot be lubed. Use weights, fishing weights, money to increase the weight of your car to 5 oz. If your car weights over 5 oz the additional weight must be removed to get it within standard or else it cannot race. Carve, sculpt, and sand your car to increase performance and appearance. You may drill the wheels pre-cut slots (at your own risk). Position weight in your car to optimize performance. But most importantly- HAVE FUN!